Come hear stories, dance to songs, learn finger plays and play with friends. All storytimes are drop in programs in the Youth Activity Center, no registration necessary. Meet Ms. Laura, Ms. Nicole, and Ms. Jenn! 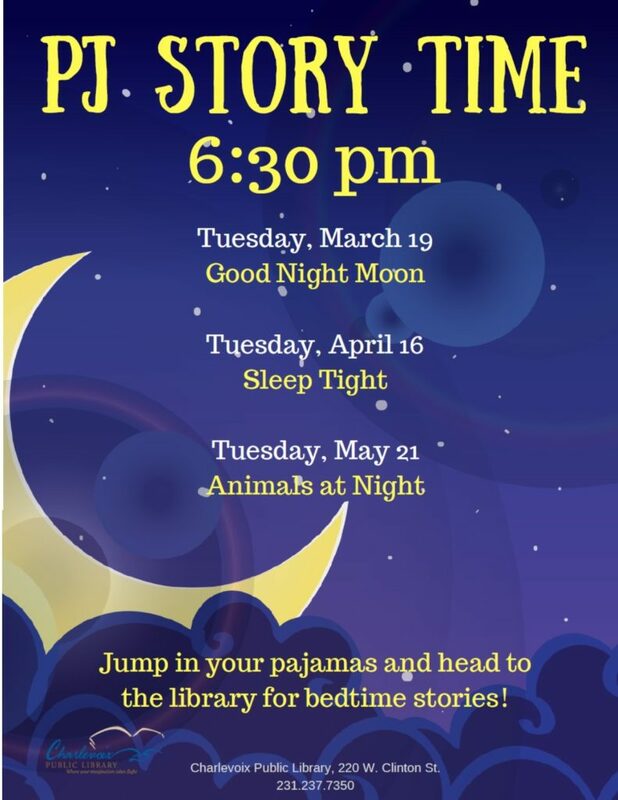 Every week Ms. Laura leads Thursday morning storytime in the Youth Activity Center at the library and she also reads stories for PJ Storytime every 3rd Tuesday each month. Every month Ms. Laura visits the Charlevoix High School for book talks and discussions. 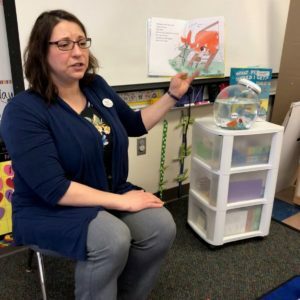 Every month Ms. Nicole visits three preschool classes, including Bright Beginnings Preschool AM and PM classes and Charlevoix Head Start located at Charlevoix Elementary School. 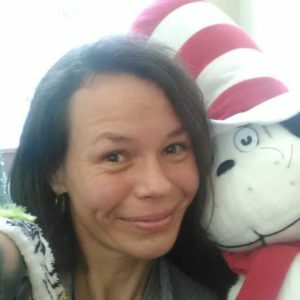 Every month Ms. Jenn visits three preschool classes, including Bright Beginnings Preschool Thursday AM class, Charlevoix Children’s House Montessori, and Saint Mary’s School Preschool. The library is a great place for school groups to visit and helps students build a connection to the community. Most field trips involve a storytime, tour, craft activity, and if time allows, a scavenger hunt or topic specific tutorial upon request. Visit to learn how to use Bibliocommons, our online catalog, and track your reading lists. We can show you how to take a trip to another continent with our digital resources from World Book on the homework help page. Go back in time browsing through our large collection in the Juvenile Biography section to find someone to inspire your dreams. Please call 231-237-7350 to schedule your field trip so we can be prepared to give your students a memorable day that fits your curriculum. 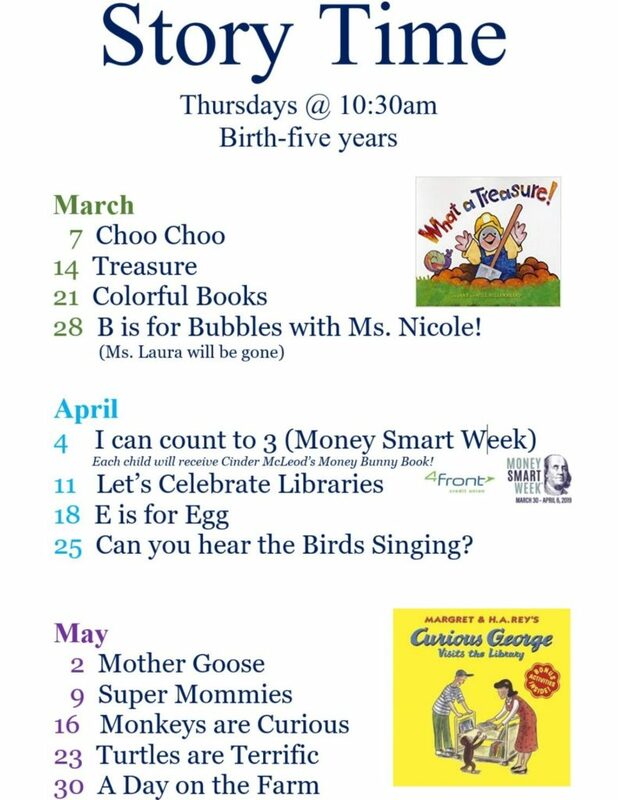 Celebrate literacy throughout the year with the Charlevoix Public Library at a special event. Help us commemorate an author’s birthday, support Children’s Book Week, gear up for Teen Tech Week, come to a book signing, or participate in our seasonal reading challenges.